The autonomic nervous system miraculously organizes and coordinates all these complex interactions for us — no thought required — and all while maintaining homeostasis or equilibrium between the sympathetic nervous system and parasympathetic nervous system, which are always vying for control of your energy. The sympathetic nervous system promotes the “fight or flight” response in us while the parasympathetic nervous systems is responsible for the “rest and digest” response. One can view the sympathetic nervous system as the accelerator and the parasympathetic as the brake. Both work in tandem and harmony to keep our “vehicle” running smoothly. The sympathetic nervous system (SNS) is ergotropic or energetic — it gives you the capacity to take action, expend energy. The SNS activates our fight-or-flight response, but it’s also what gives you “get up and go.” It’s the fuel that prevents lethargy and powers you through the day. It performs functions such as digestion and gland secretions (e.g., adrenaline or epinephrine) and increases heart rate and blood volume. The parasympathetic nervous system (PNS), on the other hand, is trophotropic or inhibitory — it keeps the sympathetic nervous system in check and allows you to relax and sleep. It performs functions such as decreasing heart rate and blood pressure, increasing the neurotransmitter acetylcholine, which puts you to sleep, and suppressing the flow of brain chemicals such as adrenaline (epinephrine) and dopamine (the neurotransmitter of focus, attention, learning, memory and motor function). Our nervous systems are driven and regulated by many forces (e.g., genes and neurochemicals), including the vital force of the Kundalini energy. Bodily systems are designed in such a way that when we expend too much of this vital energy through mental, physical and emotional activities or functioning, the body needs rest to restore this energy. If we don’t recharge and rebalance this energy, our organs and systems struggle to cope. This struggle begins to manifest as symptoms of physical, cognitive or emotional problems. Within all human beings, the functions of activity and rest maintain the balance of the “normal” state — homeostasis. However, long-term imbalances can ultimately create mental or physical disorders and diseases that tend to take longer to fix. Plus, sustained energy imbalances can also make us immunologically vulnerable, opening the door to attacks from external pathogens that can further exacerbate disorders or even create new disorders that can be very difficult to cure. Through Sahaja meditation techniques, we receive a boost of vital energy that helps restore balance quickly. Over time, these techniques can be used to correct more severe imbalances that have existed within us for a long time. In this manner, Sahaja can be a powerful alternative form of treatment and healing for many types of disorders. Should we say adjunct? In addition, Sahaja practitioner research has correlated the root causes of various diseases and disorders, physiological, mental and emotional to specific types of energy imbalances in either the left or right energy channel, or specific energy centers. Specific techniques that restore the energy balance in the affected areas of the subtle system can boost physical and emotional healing. Sahaja research has demonstrated that the left and right energy channels correspond to the functioning of the sympathetic nervous system, while the central energy channel corresponds to the functioning of the parasympathetic nervous system. Specifically, the right energy channel or “right sympathetic” nervous system influences mental (cognitive) and physical functioning, while the left energy channel or “left sympathetic” system influence our emotional functioning. How Does the Energy Impact Human Physiology? Excessive mental or physical activity puts the body in a stress state, which results in the sympathetic nervous system drawing more energy than normal on the right side, or a depletion of energy on the right energy channel. A single 15-minute meditation session that raises the inner energy draws energy from the powerful cosmic energy source and replenishes this vital lost energy in the right energy channel, thus relieving the mind and body’s distress. Without the benefit of meditation, working in tandem with the inner energy, we might need a much longer period of physical rest or sleep to restore this energy balance. Another example is that of depression. In depression, our attention may ruminate and focus too much on the past (e.g., reliving past mistakes), which drains the left sympathetic nervous system or the left energy channel of vital energy. But through regular meditation sessions, the left channel energy centers can be replenished, supplying the vital energy necessary to manage emotional processing and increase coping skills and resilience. Now, this is a simplistic solution, and in reality, one may need to supplement this energy replenishment with a conscious effort, through meditation, to detach and discharge the negative emotional energy and self-regulate one’s attention to focus on the present rather than the past, which further reduces the draining of left channel energy. In other words, replenishing energy through meditation, combined with the ability to self-regulate attention and emotional reactivity helps provide relief from depression. A third example is that of an imbalance or block in a specific energy center that’s causing a physical problem. The 3rd energy center, or celiac or solar plexus, for instance, drives various digestive functions in our body. 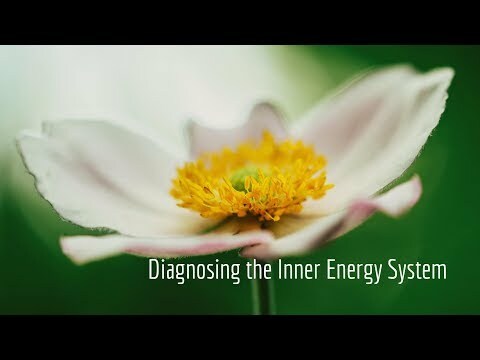 When we suffer from indigestion or similar problems, we have an energy imbalance in the corresponding 3rd energy center, and sometimes even a blockage that is inhibiting the flow of energy through this center. By raising the inner energy and using specific clearing techniques to remove these blockages, the vital force in this specific energy center is replenished and the body is able to return to a “normal” state of digestive functioning. The subtle energy infrastructure already within us can be used for improving all aspects of our mental and physical health and well-being, but the ultimate benefit of meditation and the inner energy lies in the development and improvement of a fourth dimension — evolution to a higher and better state of existence as manifested by our personality, character, intuition and our spiritual existence. The act of raising the inner energy, achieving a connection with the cosmic energy, and nurturing the energy centers ultimately allows us to discover the inner self or spirit, it’s role in our lives and in fact, the purpose of our life itself.